April 22, 1998 is a day I will not forget. And as a manager of a small emerging rental theatre in Northern NJ, I was dedicated to working my very hardest at this job. 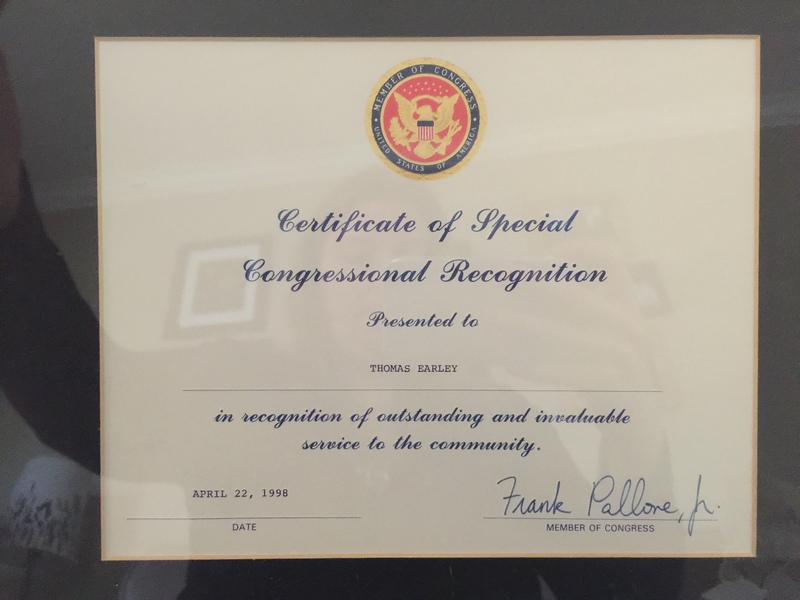 My father, the late Captain Thomas Patrick Earley had an extremely strong work ethic. He worked tirelessly and without complaint for the amount of hours that he spent working to provide for his family. For nearly 3 decades he served as the community as a police officer in the City of New Brunswick. He reached the rank of Captain by the time of his retirement. His passion was for helping others, often times without many other people knowing about it. On this day, 19 years ago, while I was at work, away from my family. My parents & siblings attended a ceremony recognizing our father. 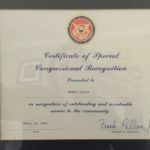 A Certificate of Special Congressional Recognition – in recognition of outstanding and invaluable service to the community. I have the certificate that he was presented with that evening in my possession. But I’d much rather have the memory of being at the ceremony to witness my father receive this certificate. Had I known better at the time, I would have not gone into work that evening. So, why does this matter now or for that matter to you? Now we live in a world that is so connected and very small when you think about it that, it is quite possible to work on your terms, where you want and with whom you want. Mind you, there is nothing quite like one to one, in person relationships. Are you in control of where you spend your time? If you are, good for you! 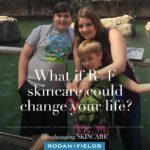 If you are not and want to be, let’s talk. Be the CEO of YOU!